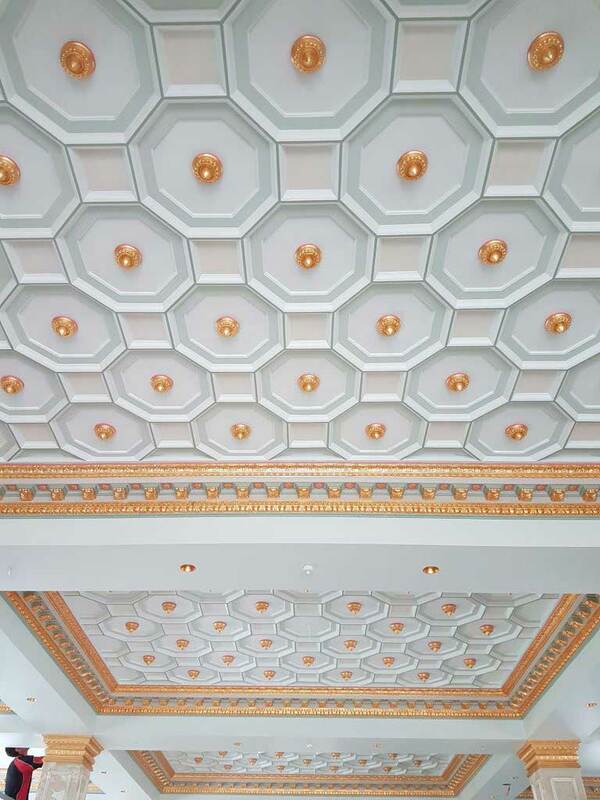 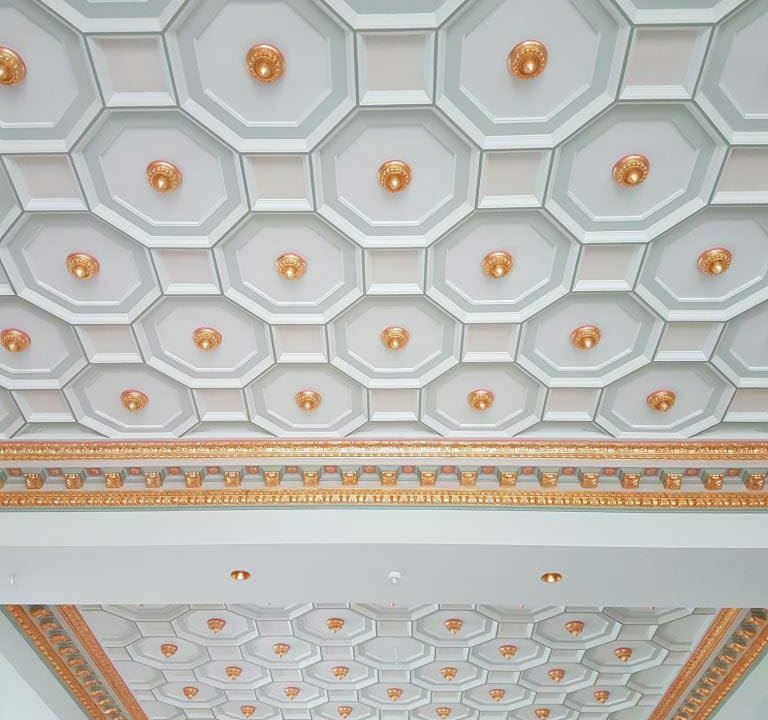 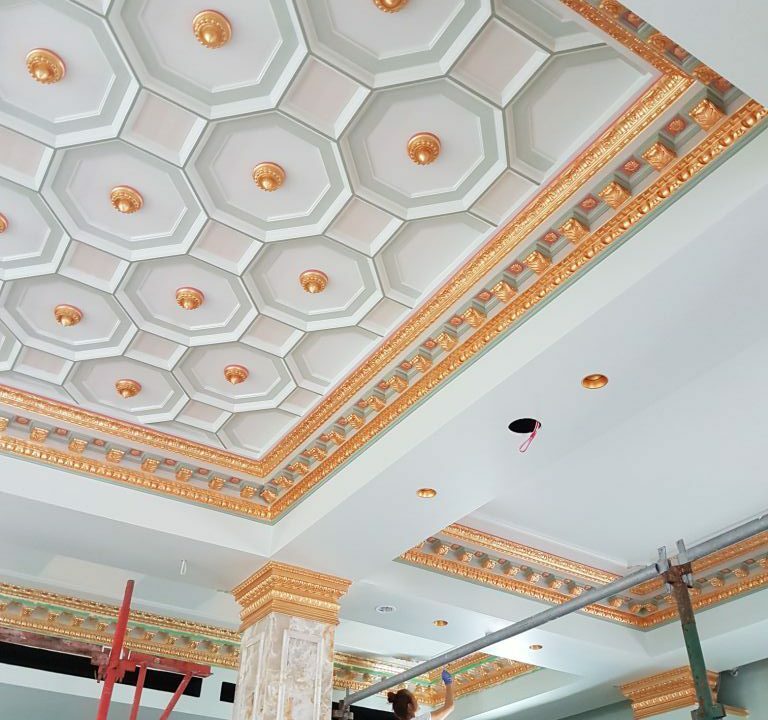 Late November 2018, we travelled to North Queensland for an amazing commission to gold leaf a huge (250sqm) ballroom ceiling. 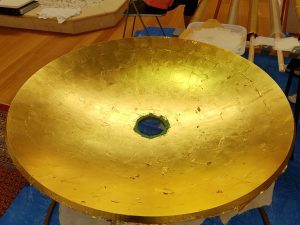 We rallied the troops (Master Class Students) to find out who wanted to come with us to get hands-on experience gilding on site. 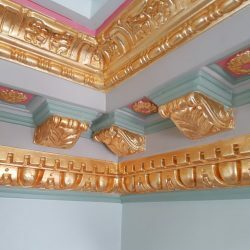 Art Gilding booked and paid for all flights and a beautiful 2 bedroom apartment with swimming pool for our students, Nicola from Adelaide, Krissie from Melbourne & Robyn from Sydney. 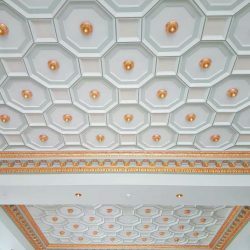 We also pay our students $35.00 per hour. 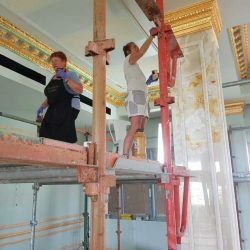 Whilst we have experience to judge timing and material, this cornice also needed extensive fine painting done. 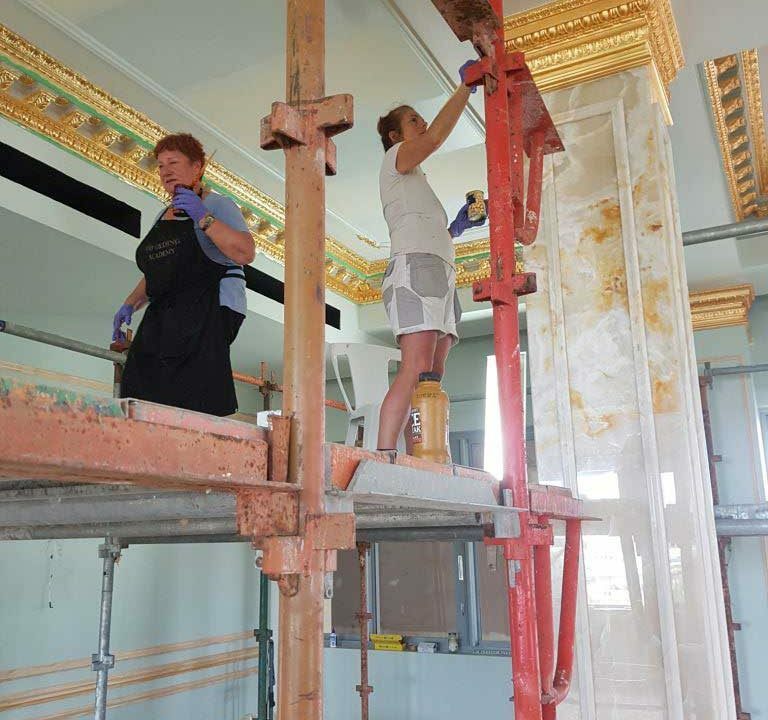 Half way through the job, it became clear that we needed help with the painting, so we contracted two traditional sign writers to assist us. 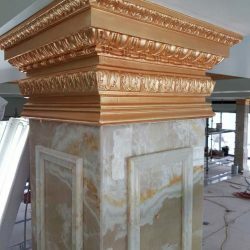 All gold leafing of the Ballroom cornices and the 16 column capitals were finished on time and budget to the great satisfaction of the client. 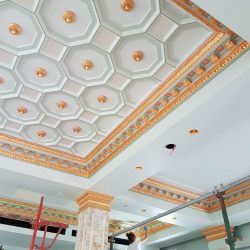 This is what the interior designer had to say about us. 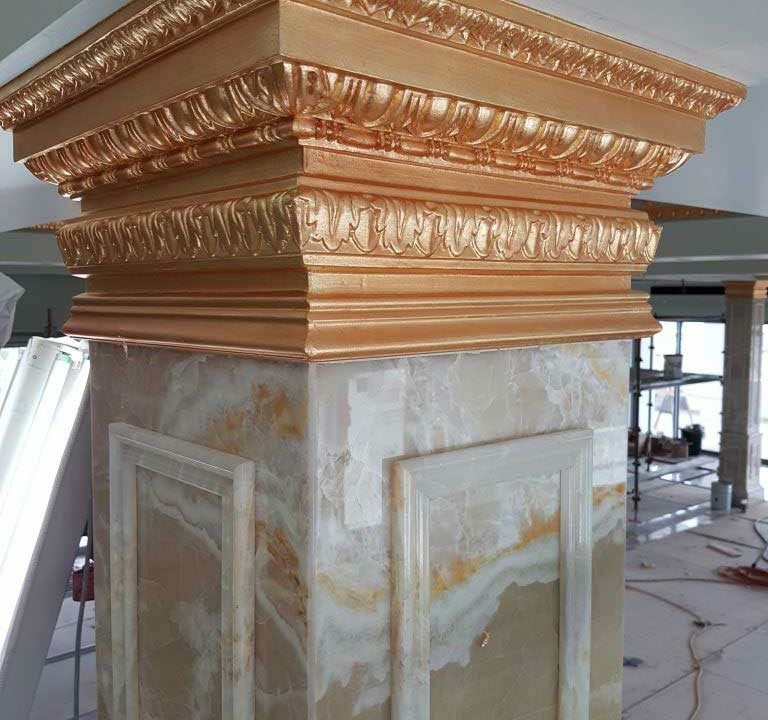 You could also learn how to become a professional gilder and have the chance to be invited to work on professional projects with us. 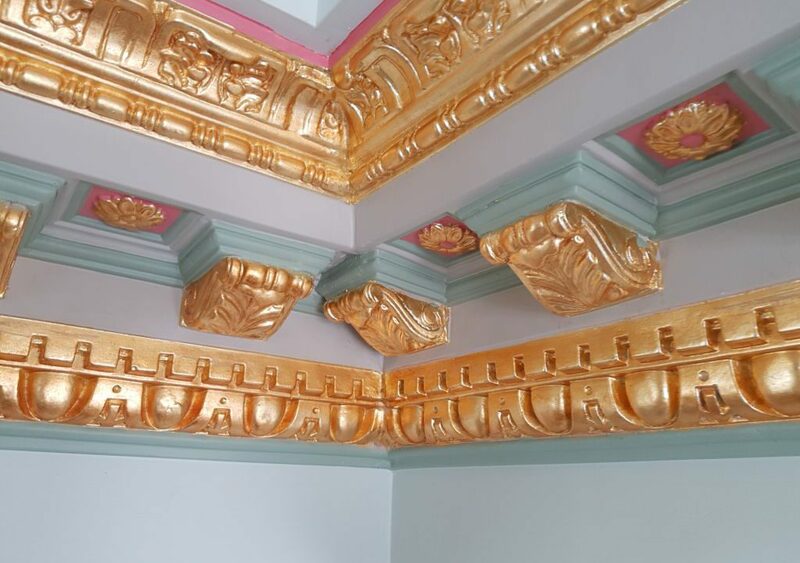 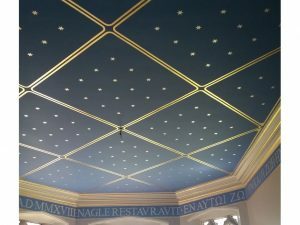 > View the details of the 9 Day Gilding Master Class.